The design of the Daily Sports Ladies Irene Trousers reflects the latest trends in sports and golf wear but with functionality in mind. The trousers also feature windflex technology which has been exclusively developed for active golf. It is a double layered fabric which binds together to provide wind and water protection. Wind flex is also lightweight and soft to the touch as well as being very breathable and quick to dry which make them the perfect choice for golfer`s. When you need to perform on the golf course the Daily Sports Ladies Irene Trousers feature thermo pro-stretch fabric which will allow for freedom of movement during the golf swing. 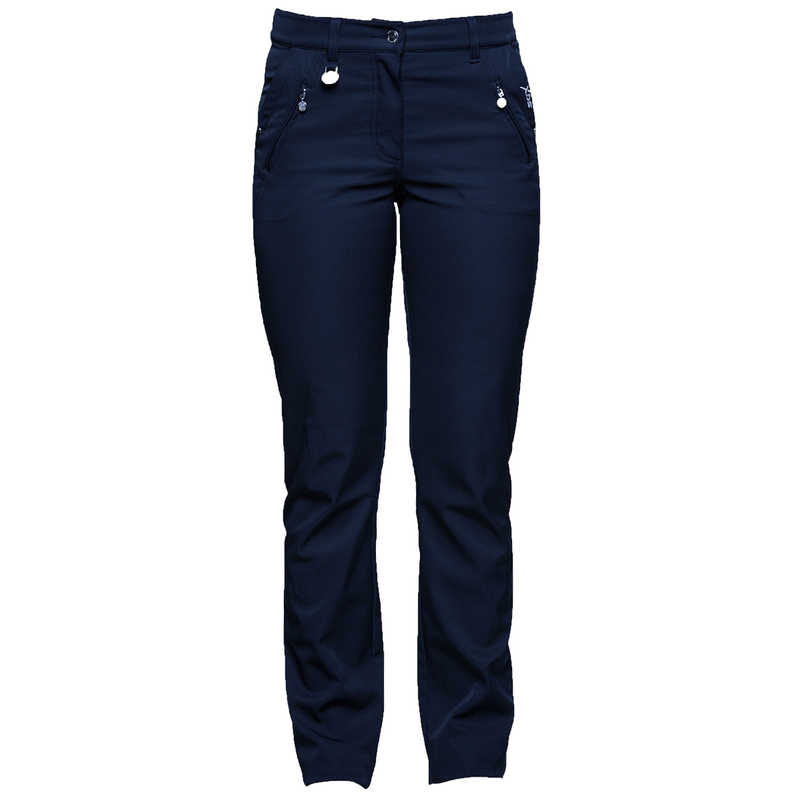 The trousers are also nice and warm and will allow you to concentrate on your game rather than the weather.